This philosophy of meaningfulness permeates his every pore and motivates his every move. We are in Masque, the restaurant at Mahalaxmi, Mumbai, that has been lauded for using sustainable, and seasonal produce in unimaginably striking ways. Ashiesh, who is responsible for the transformation of the space from warehouse to rustic sleek with clean lines and warm interiors, has captured the restaurant’s essence in a stark, yet stunning metal installation by sculptor Rathin Barman. Design is introspective. When you put that pen to paper, you’re actually introspecting on every line you’re drawing because you’re creating something. That is meditation, too. If you can find meditation through your work, that’s nirvana. Luxury means different things to different people. Ashiesh puts his mind to it and doesn’t answer immediately, then he says thoughtfully, “Luxury is defined by the self. It’s what you believe in. It could be the Kolhapuri chappal I buy from Colaba Causeway for Rs 100 or a bag worth thousands of rupees. What is luxurious to me might be indulgent for someone and frugal for someone else.” Most of all, luxury for him is a product that has a provenance, a story and a richness of thought behind it. His own home with its vast collection of art and carefully collected pieces with a history is a case in point. I go to the most expensive shop and buy just a black T-shirt! I like to spend on things (that I use) every day because I believe that luxury is for every day, not for a weekend or an occasion. “I like anything with a philosophy. 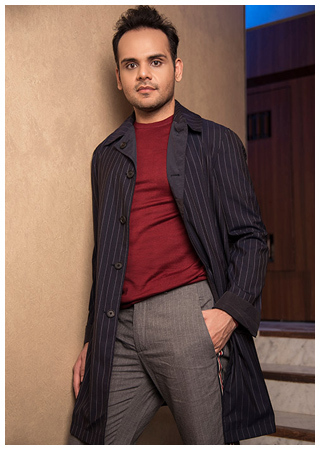 And that’s the idea behind Atelier (a section that showcased furniture and accessories at the recent art and design fair D/code 2018 curated by him) as well… let’s follow a philosophy,” he says, as he talks about his newest project. Atelier hopes to amalgamate experimentation, craftsmanship and technique into a creative ecosystem for collaboration and development. For Ashiesh, transitioning from interior to product design was a natural progression, propelled by years of designing custom furniture pieces for his clientele. Expect prêt and premium edition collections, reflecting his signature style of clean lines and raw textures. This adjunct to his current work will celebrate the master craftsmen and tribal artists of India by bringing their work into the limelight. Combining his knowledge of contemporary design and their expert skills in creating a product that will be so exquisite, it will be truly unique. Luxury is defined by the self. It’s what you believe in. What is luxurious to me might be indulgent for someone and frugal for someone else. Atelier comes after years of creativity, working on carefully chosen projects and pushing the boundaries of what an architect and interior designers does. 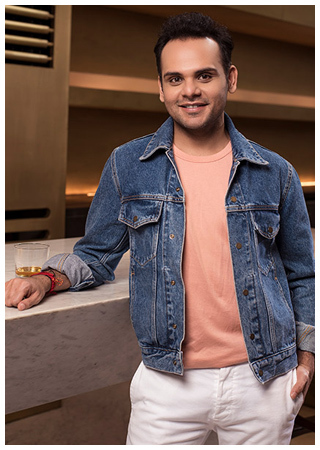 After quitting dentistry to follow his heart he did a course at the Rachana Sansad Academy of Architecture in Mumbai and then one on Interior Architecture, Lighting Design and Product at the Parsons School of Design in New York. He worked with a firm before he started off on his own a decade ago. Today, his company has a designation-free structure where everyone gets a say which allows for a very positive vibe. His ideas have birthed trends in the country, such as industrial chic that became popular after he styled the store Le Mill or garden-theme restaurants after Nido (now defunct). His more recent work with Masque and Chef Hemant Oberoi’s fine-dining restaurant sparkles. He collaborated with Urban Ladder for a selection of pieces that evoke the Japanese philosophy of Wabi Sabi (appreciating the beauty in imperfection). And yet he breathes India and uses local materials like cane, familiar shapes like the lingam and functionality that befits the needs of the average Indian home owner. 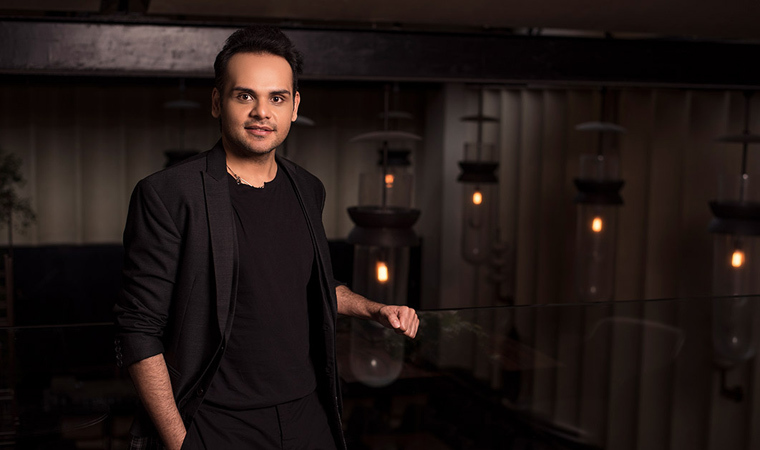 Ashiesh has reached our homes through his own TV show called Design HQ on Fox Life India last year, which took a peek into the homes of some celebrities he designed. Awards have come from every quarter and his has been considered a name of worth on many laudable lists. Not bad for the shy boy from the family of doctors who didn’t have many friends as a child. “If you were a boy who didn’t play cricket or football you weren’t popular back then, which is very different from today’s times where parents are very supportive of a son who only wants to go to craft class or play Lego! In those days, Lego was not a real thing. It was a luxury. It was what you did with your father on a weekend, not every day.” That childhood yearning to build rather than bat has borne fruit now.